“Off with Their Heads!” is out! Our new release set in the universe of Gentlemen’s Tales of Love, Lust and the Undead is now out! Off with Their Heads! is the story of a young medical student, a starving artist, and a bunch of zombie heads, set in an alternative Victorian London, twenty years after the outbreak of the zombie Plague. Danger! A mixture of blatant sarcasm, banter and eroticism ahead! The title is now available on Smashwords and Amazon (.com, UK, Brazil, Germany, France, Canada, Spain, Italy, Japan). We’ll be very happy to answer any questions either here or on Goodreads. It’s 1907, twenty years after the outbreak of a zombie Plague. For a young medicine student like Clint, the undead bodies provide an opportunity to study human physiology in the working. He is a good young man: tidy, well-mannered and hard working. Focused on his goal to become an excellent surgeon, Clint has a bright future ahead of him. If it weren’t for a shameful secret he’s forced to keep, his life would have been perfect. 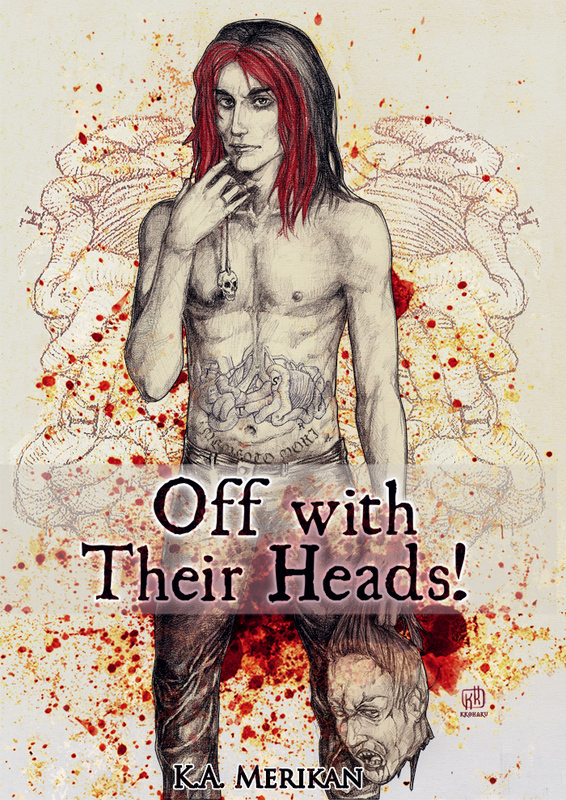 “Off with their Heads!” is set in the universe of “Gentlemen’s Tales of Love, Lust and the Undead”. Congratulations on the release, and this looks *fascinating* :). I’m off to get my copy. That cover is gorgeous as well, it caught my eye at once.